By Season 3, Star Trek: Voyager started to find its pulse, although it admittedly remained on life support for much of the season. The show’s overall look, feel, and general direction see dramatic changes as the season progresses. The result is a season that is arguably the show’s darkest and most experimental, with obvious foreshadowing of future events. The Kazon arc concludes as Voyager's crew adjust to their primitive surrounds while Paris, Suder, and The Doctor win back the ship. Tuvok has recurring flashbacks to his time aboard the U.S.S. Excelsior. Kim and Paris receive long sentences in an isolated, brutal alien prison that no one escapes. The Doctor and Kes utilize a diagnostic program featuring Dr. Lewis Zimmerman when his program experiences a catastrophic malfunction, while Voyager is under attack by a swarm. Voyager discovers two Ferengi swindling a primitive planet. Janeway undergoes a spiritual ritual to save Kes. Voyager must stop the ambitious Henry Starling from destroying the future and return to its own timeline. A ruthless warlord possesses Kes’s body, forever changing the character. Q wants Captain Janeway to bare his child, with the hope of saving the Q Continuum. Voyager is attacked by a macro-virus. A lonely alien woman, who falls in love with Tuvok, takes the form of a holographic character. After experiencing the same events over and over again, Janeway is lead to believe that she has died – euthanized by The Doctor upon contracting the Vidiian Phage. 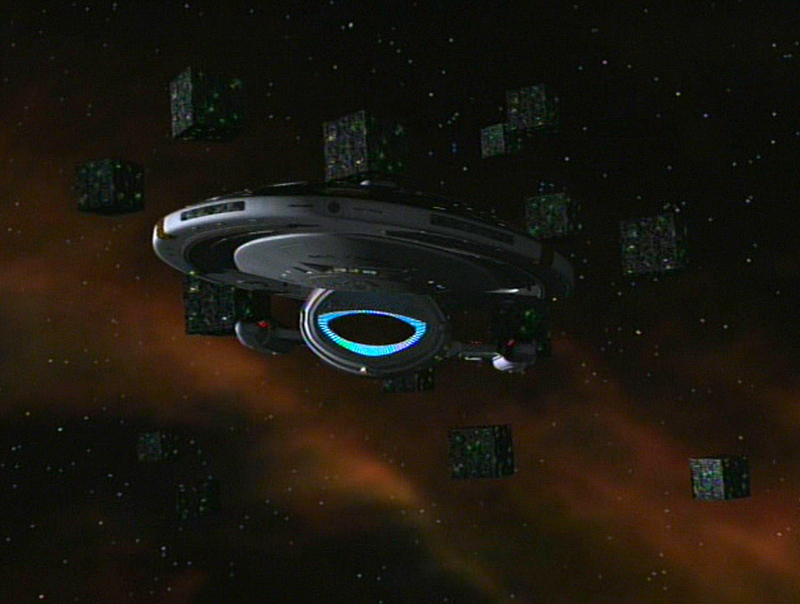 Voyager encounters a group of liberated Borg drones, foreshadowing future events. Enhancements to The Doctor’s program go awry, leading to violent acts. Upon crash landing, Tuvok reluctantly relies on Neelix's expertise with space tethers to save them. Other dangers loom along the way, however. Kes finds herself as an old woman, jumping backwards through time towards non-existence. The Doctor creates a holographic family to experience the rewards and hardships of life. Meanwhile, Voyager explores a vortex-like phenomenon. Two controversial alien scientists, believed to be direct ancestors of dinosaurs, trace their roots to Earth. A holo-program about a Maquis takeover turns potentially deadly when Seska’s hacked version activates. Voyager enters Borg space, only to discover an even greater threat.